Blended learning means integrating face-to-face activities with online instruction. 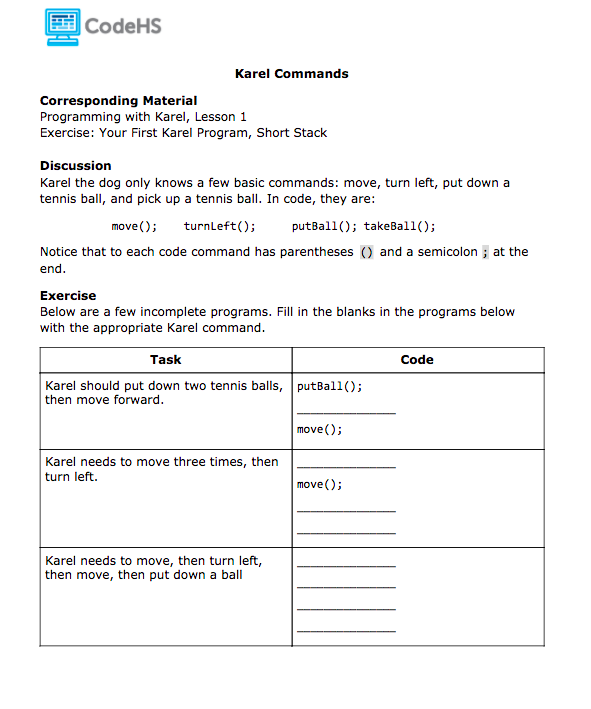 CodeHS has created offline handouts and activities for all courses on CodeHS to help teachers run a successful blended classroom that works for all learners. Exercise Handouts provide collaborative classroom activities that teachers can lead to reinforce concepts and principles learned throughout the curriculum. Teachers can find Handouts by clicking on the Toolbox at the top of any page. Each handout comes with a student version and a teacher version that helps teachers prepare for the activity. Teachers can download the handouts to make edits or print the handouts straight from the site. 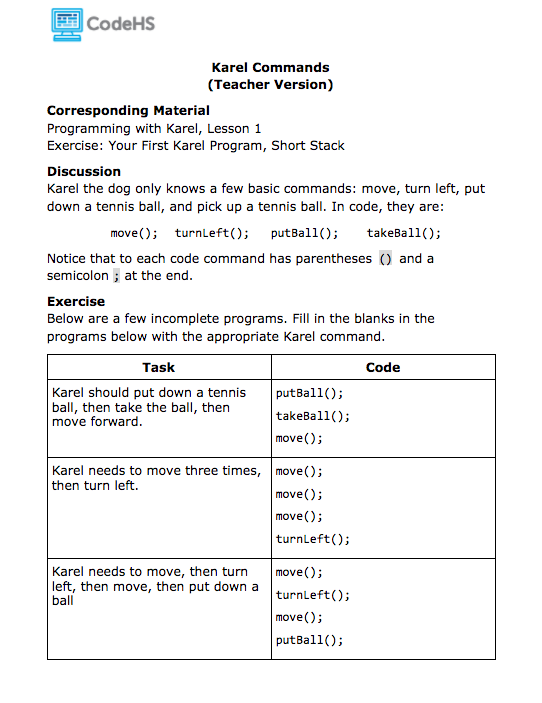 We understand that there are many types of learners on CodeHS. Taking learning offline can sometimes help things “click” for a student or give you the chance to mix things up!